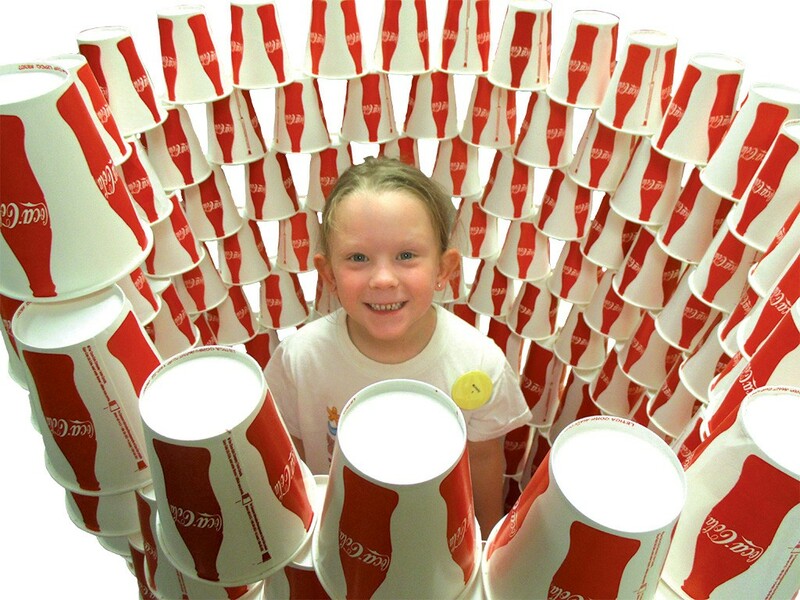 Feeding Body & Mind | Camps | Kids VT - small people, big ideas! 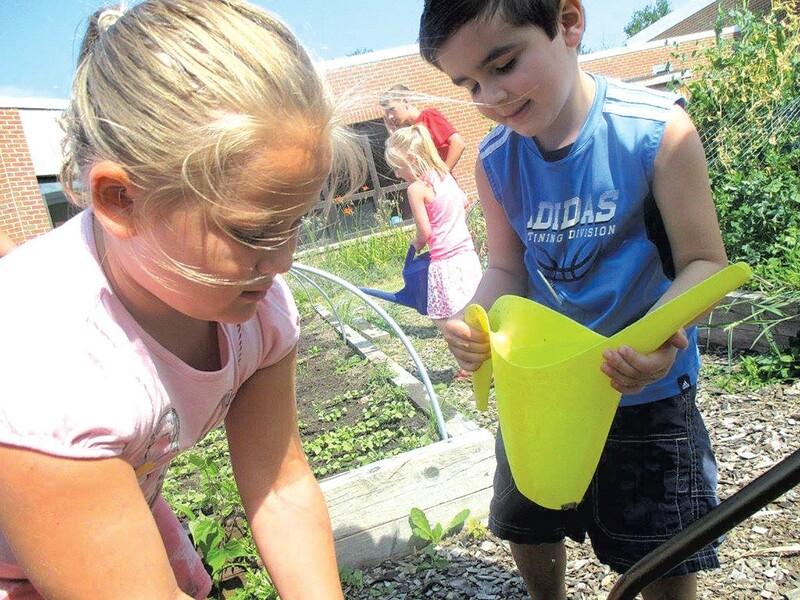 Visit Camels Hump Middle School in Richmond over the summer, and you'll see kids painting murals, tending vegetables in a raised bed, memorizing camp songs and learning to play instruments. They'll be riding school buses, too — to the local pool. Sounds like a traditional day camp, but this one-month program is far from typical. The campers — from Richmond, Huntington, Bolton, Jericho and Underhill — are all kids who might not get nutritious food and enrichment over the summer, which puts them at risk of falling behind their peers. The session is designed to feed their bodies and their minds, and it's totally free for their families. It's called Our Community Cares Camp. "I hope that a lot of people in town are thinking, We're taking care of our kids because our community cares," says executive director Marie Thomas. "We address three things: food security, the achievement gap and the opportunity gap," she says. These issues are closely linked to learning during summer months: According to the National Summer Learning Association, kids in low-income households lose more than two months of reading achievement as compared to their middle-class peers, who make slight gains. The association also states that children — especially those already at high risk of obesity — gain weight faster when school is out. Thomas looks at issues such as the state's opiate crisis and sees OCCC as a preventative step. "I see us as promoting a healthy society and community and helping these kids come up with tools for making better choices," she says. The campers like it for simpler reasons. "We get to go outside a lot," says 12-year-old Richmond resident Alex Hansen, who likes to play basketball, Ping-Pong and field hockey at OCCC. He's been a camper there for the past two years. "And I like that you don't just have to be home all day and bored out of your mind," Alex says. Thomas is flexible about OCCC's eligibility requirements. "We don't have income guidelines, per se. We say: kids who would benefit from a summer camp. Family situations change all the time," she explains, citing a family whose kids started going to the camp after their family business went under. The Mount Mansfield Modified Union School District/Chittenden East Supervisory Union refers some students to OCCC; others are accepted at the discretion of Thomas and her team. She was key in opening the program up to the community. The camp began in the 1990s as a volunteer-staffed summer nutrition program run by Richmond's Congregational Church at a local low-income housing development. Thomas got involved when an organization she volunteers with offered to help pack lunches. At one meeting, Thomas voiced a concern that serving only kids in the housing development was profiling — that there were kids throughout the district who were food insecure. Soon after, the church's nutrition program struck a deal with the school district, which was already busing kids to summer school at Camels Hump Middle School. OCCC would use district buses to transport kids from throughout the district to their program, and summer-school kids would receive healthy meals through OCCC. With this arrangement, OCCC started taking shape as a summer camp. Thomas and Linda Parent, Richmond's town clerk, incorporated the camp as a nonprofit in 2009. And in the seven seasons since, camper registration has nearly doubled, and they've formed a leadership program for campers 12 and older and a junior counselor program for kids 14 and up. Between camp and summer school, OCCC feeds about 250 kids every summer. The camp's first program director was Liz Russell, a preschool teacher whom Thomas credits with developing its empathetic culture. Russell, who left after the 2014 season, says that designing a camp to serve local kids went beyond just feeding them. It was about "being part of a community and, with that, security and belonging and affiliation," she explains. "When you're in camp and you know the vernacular, you're really part of something. 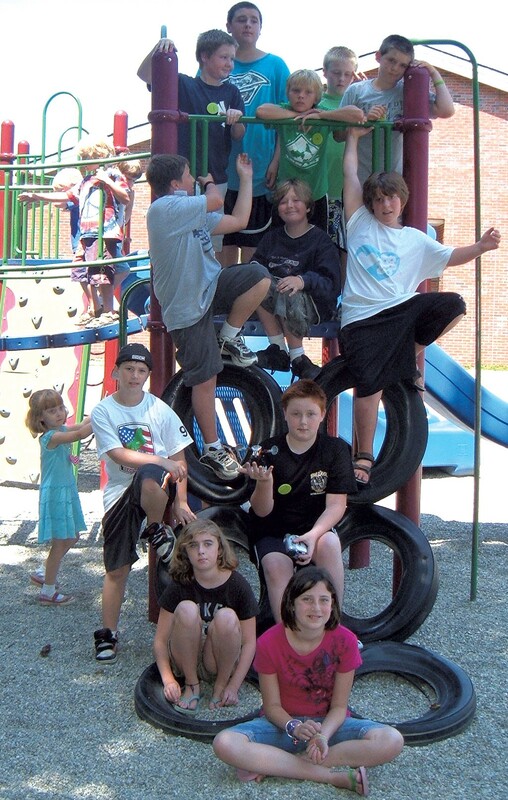 So I wanted to provide that kind of affiliation to kids who were right here in the community." One way that campers bond is by playing ukuleles. 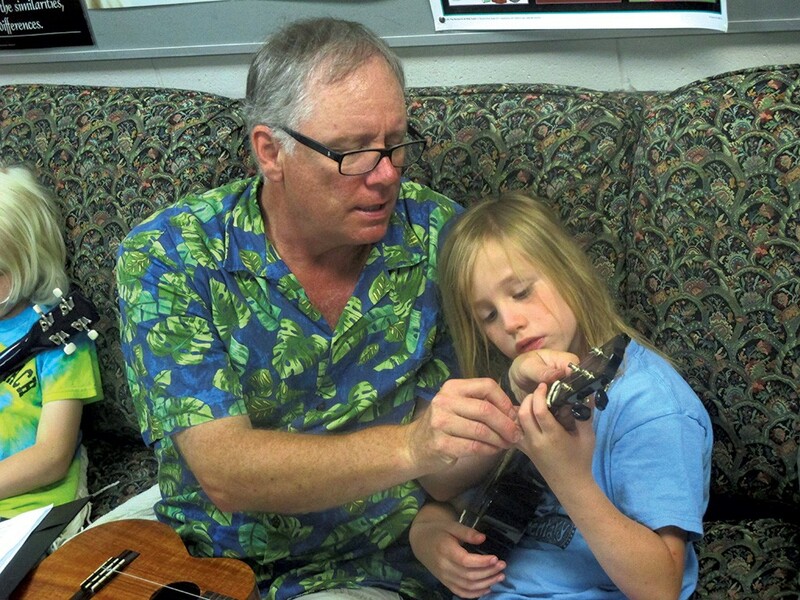 Huntington musician Buddy Dubay runs an annual workshop that gets kids strumming the four-stringed Hawaiian instruments, and there's even a chance to win one. Those who want to keep playing earn a raffle ticket for every song they learn. The camp raffles off two ukuleles each year, Thomas says, and has a dozen more on hand for kids to play while at camp. Alex Hansen won a ukulele, tuner and music book during his first summer at OCCC. "I was on a field trip when it happened, and I came back and was surprised, because it's really hard to win those," he remembers. He still plays it, he says. That the camp takes place at Camels Hump Middle School provides a unique benefit: Incoming students can get acclimated to their new school in advance. "For the emotional muscle memory, for kids to have had a really positive experience in that building where they're going to middle school, I think there's value in that," Russell says. Jenn Hansen, Alex's mom, remembers how he was anxious the summer before starting middle school. At camp he became good friends with a boy from Huntington, and they ended up in the same class together. "He found out that these new kids coming from these other schools weren't horrible," she says. "It relieved a lot of anxiety for him." Four years ago, OCCC launched the Leadership Adventure Camp for seventh and eighth graders — kids too young to be junior counselors and too old to play at the Lego table. "They need to be separate, and they need to be acknowledged as rising stars," Thomas says. 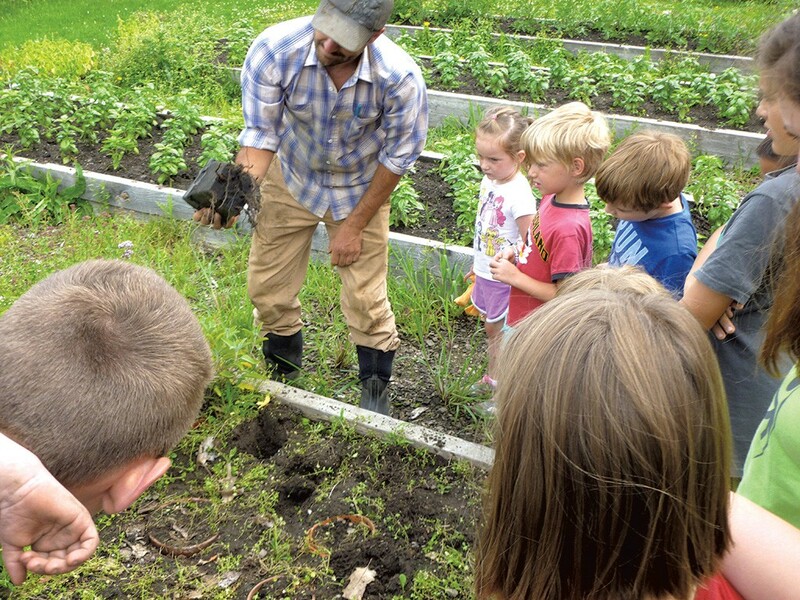 LAC allows older campers more independence and responsibility; last year, for example, they went into the fields with the Vermont Youth Conservation Corps to help harvest vegetables for that organization's own food-security programs. "Camp gives kids the opportunity to find success, whatever that may be," says Elizabeth Morris, a college senior from Richmond who started at OCCC as an intern in 2010. "They find happiness through discovering music, art, cooking." Morris continued her involvement with the camp well past her counselor days, helping Thomas with fundraising and communication in the off-season. She's majoring in economics and journalism at Ithaca College and is interested in addressing poverty issues through public policy. "Camp has steered my interests into everything I want to do," she says, recounting one experience as a teenage counselor. A camper was eating ravenously after being absent for a few days. She told Morris that she had been watching her baby sibling while her mother recovered from a sickness, and that all the food in the house went to her father so he could stay healthy enough to work. The camper's matter-of-fact description of the situation opened Morris' eyes. "There are a lot of moments like that with kids," she says. Morris thinks the camp's aspirational structure is critical to its success. Kids are encouraged to look toward the future, to being junior counselors, then maybe counselors one day. And because they see other campers moving up through the ranks, it's an attainable goal with a clear path. Seeing the same staff year after year also allows campers to build enduring relationships with young adults, says Morris. "It creates this really nurturing environment that is really stable and consistent," she says, pointing to OCCC's statistics. More than half of the staff members have been involved with the camp for three or more years, and, in 2015, 70 percent of paid staff had gone through the camp's junior counselor program. Kaitlin Scherber was a camper for four years and a junior counselor for two. She hopes to be hired as a counselor this year. "I think it's helped me grow up," she says, explaining how she helps her parents at home, stays on top of schoolwork and is aware when a peer needs help. Kaitlin's mom, Lori Aldrich, corroborates her daughter's experience. "She was happy, she was growing, she was maturing. 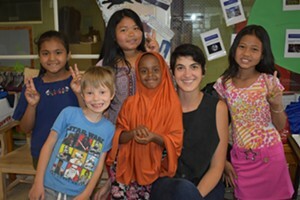 She wasn't afraid to take risks," Aldrich says, and she credits OCCC's welcoming culture with inspiring personal growth: Campers know their families can't afford much, and it's not an issue. "It's a non-judgment zone," Aldrich says. "I think when you're pretty much all in the same predicament, no one cares that you're not wearing the latest fashion, you're not in a big house. There's no stigma."